In the introductory post on iOS CI Olympics, we have selected the few player and few games for this competition. We will be evaluating the player one by one on the basis of their performance in the each game. 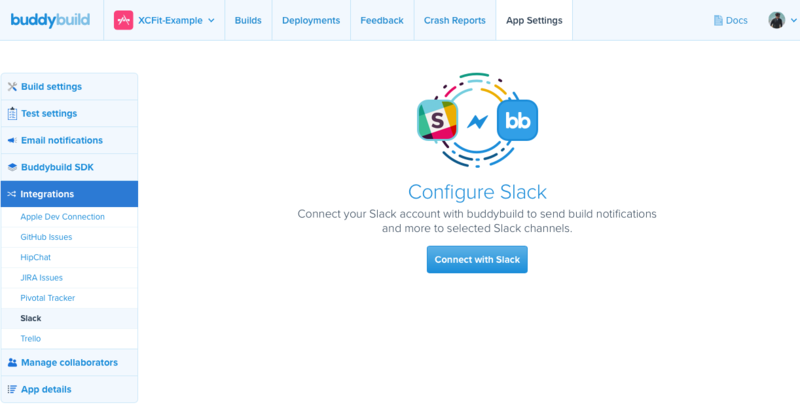 In this article, the player is BuddyBuild, the very popular mobile continuous integration server. Description: A continuous integration, continuous deployment, and user feedback platform for iOS and Android development teams. The BuddyBuild signup process was very straightforward. I have chosen to use my Github account to sign up which took me straight into the BuddyBuild portal. The process was smooth and easy, the welcome screen wasn’t confusing and explained the next things to do. BuddyBuild live chatters didn’t disturb me as soon as I landed into the portal. The setting up project requires the access to Github repositories that we want to build on BuddyBuild. We can either give an access to all the repositories or we can pick some of them that we want to build. I have chosen to select 3 of them but our main repo is XCFit to build on BuddyBuild. 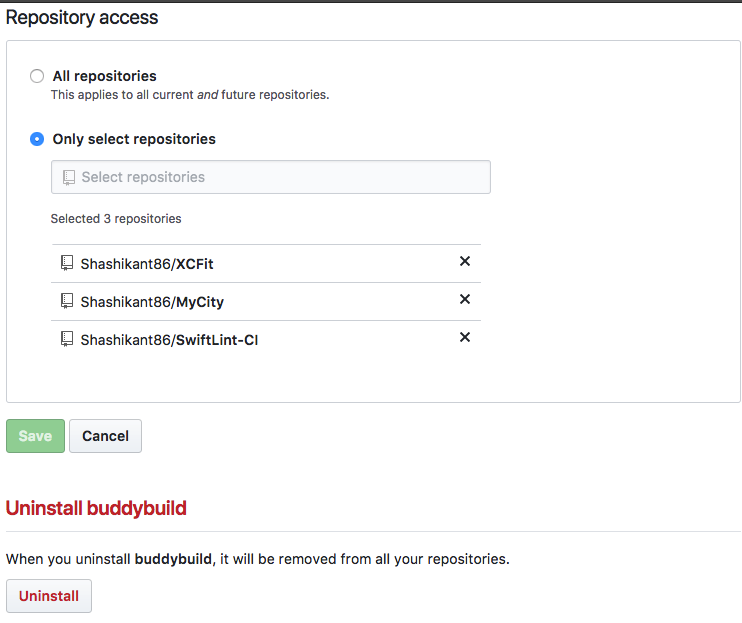 Once, we select the repository to build then BuddyBuild checkout the source code from the repository. It will then find out the iOS apps, targets and schemes for the selected project. BuddyBuild seems to very smart in searching all the apps and schemes. The XCFit project has two Xcode projects one for the library and another for example app. BuddyBuild did the awesome job in finding out both. We then need to select the scheme or target to build. I selected the XCFit-Example scheme to build on BuddyBuild. Now that, we have selected the XCFit-Example scheme to build, then the BuddyBuild started building the scheme and automatically identified the Cartfile inside the project. BuddyBuild started with running carthage bootstrap command and then built the dependent project. BudduBuild also ran the tests and archived the test results. The default build execution criteria of the BuddyBuild is very smart and detected all the dependencies frameworks well in advance. There wasn’t any need to script the test execution using xcodebuild or Fastlane. All these things are automatically handled by BuddyBuild. However, some users may not want the way that BuddyBuild offer at the first time, it would be the waste of the time to run the first build against the default configuration and then customise it. There should be some user interaction to ask users if they want to build with default configuration or not. Medal: BuddyBuild has earned Gold medal for the default build configuration game. The build execution is very interactive for the BuddyBuild, the logs started appearing as soon as build kicked-off. The build environments like Xcode version and simulator versions, targets, schemes are printed at the start of the build so that user can verify that the build is running on the correct environments. Also, we can observe that there are separate tabs for Xcode Tests, Code Coverage, and Build Details to get more details of the build. The build execution process for the BuddyBuild is great showing detailed but readable logs. Once the build is executed then the build artefacts and log are clearly visible in the associated tabs. The Xcode Tests tab shows the detailed test reports on each device for each target. The further we can also see time to complete the tests and detailed logs if needed. There is also a tab for the code coverage reports which can be useful for the unit tests. The test reports are also available for different branches so that we can compare the number of new tests added or code coverage percentage from branches. Not sure, how long we can see those artefacts of BuddyBuild logs but they are very informative. BuddyBuild has an ability to run UI tests on physical devices for Android platforms but I couldn’t find any documentation or setting to configure iOS tests on real devices. As they have already implemented for Android so iOS won’t be very long. BuddyBuild has all the iOS simulator available to use and they have the feature to capture the recording of the UI tests. Medal: BuddyBuild has earned Silver medal for Real Device Testing game. The default build configuration can be easily overridden in the BuddyBuild App settings tab. The build settings have various options to change the environment, scheme, code signing, device and test settings. We can configure our build with the configurations we want to build on. We can also change the Xcode version and test our build with different Xcode versions. The environmental variables are pretty common in the Continuous Integration system, BuddyBuild has the ability to define the environmental variables with its values. BuddyBuilds provides great options, however, these options are very limited and probably not enough for your iOS project. You may be looking for the custom scripts but BuddyBuild settings don’t show up the options to write custom scripts or it may be hidden somewhere. BuddyBuild should have more build configuration options or allow users to take control with their own scripts. After spending some time, I found that there is the way to customise the build configuration on this blog post. This blog describes the workarounds to add custom scripts to build configuration. Medal: BuddyBuild has earned Silver medal for Build Customisation game. 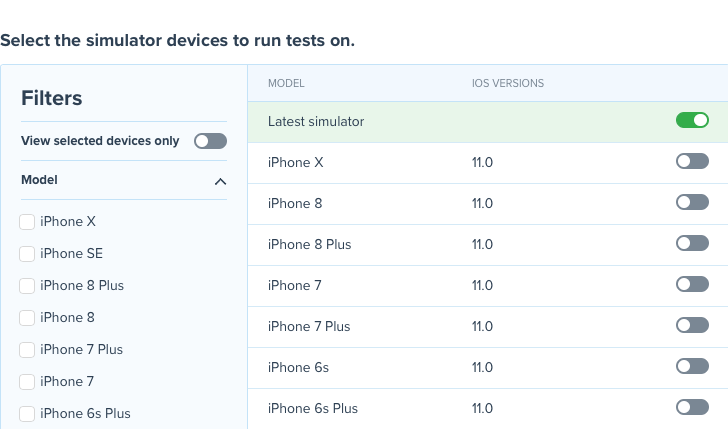 BuddyBuild has a lot of iOS simulators available for testing so parallelising the tests is just a matter of selecting multiple simulators. However, the concurrent build execution is not cheap. 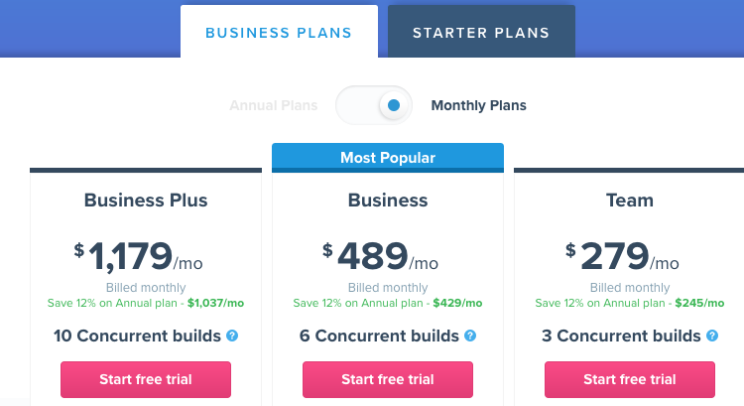 The starter plan of BuddyBuild has only 1 concurrent build as you spend more money, you will get more concurrent builds but BuddyBuild has an ability to provide you with that concurrency you wanted. Medal: BuddyBuild has earned the Gold medal for Parallelisation and Concurrent Builds game. Build pipeline allows us to define stages of the build that we can run parallelly or sequentially. 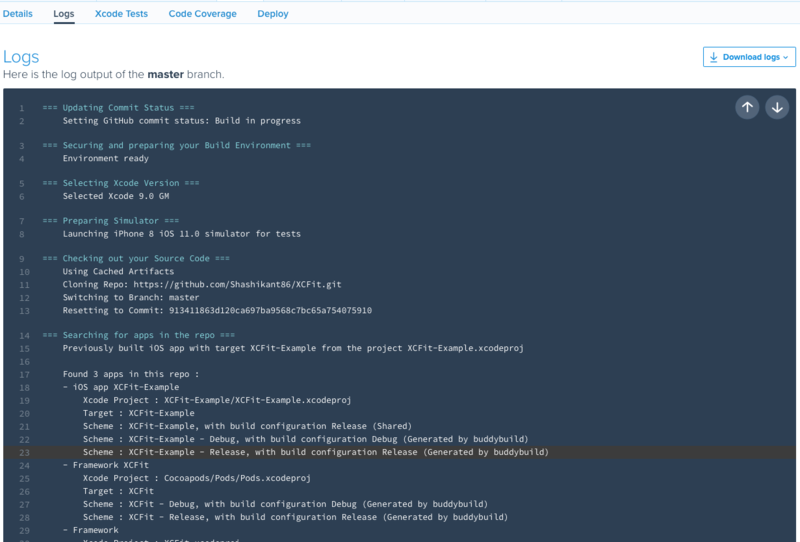 BuddyBuild has deep integration to setup build pipelines with BitBucket as mentioned in the documentation, however setting up the pipelines with Github or other source control management are not documented. Hopefully, this will be possible for the other SCM like GitHub as well but not sure. Medal: BuddyBuild has earned Silver medal for Build Pipelining game. Medal: BuddyBuild has earned the Bronze medal for Infrastructure as Code game. CocoaPods and Carthage are the two most used dependency manager for iOS projects. Both dependency managers check out the dependency source code and build the frameworks in Pods and Carthage directory. This is a very time-consuming process to do for every build. We need to cache those directories to speed up the build execution. At the time of writing this post, there was no support for caching the CocoaPods or Carthage directories. Someone asked to support roam for caching but BuddyBuild suggested to write the custom script to do this as per this forum. If users have to write everything with own script then it loses the point of using paid CI services. This is an essential feature and BuddyBuild should make some effort to automate this as they did it for running tests and automating deployments. Update: After talking to BuddyBuild Team, They have an excellent mechanism to caching both CocoaPods and Carthage. The detailed blog post on this will be coming soon. Medal: BuddyBuild has earned Gold medal forDirectory Caching game. BuildyBuilds has few third-party integrations but they are probably not enough considering the large range of the open-source projects and services available in the market. The only way to add third part integration is to write your own script as mentioned in this blog post. Medal: BuddyBuild has earned the Silver medal for the third party integrations game. BuddyBuid has been super fast in starting the build as well as processing the build. During my trial, the build kicks-off as soon as commit has been made without any delay. The process of setting of the environment, checking out source code, scanning the source for apps, running the build was very quick. BuddyBuild is also transparent in showing the time taken by the build, test and other stuff. Medal: The BuddyBuild has earned the Gold medal for speed. BuddyBuild has support for environmental variables, device variables and secure files. This makes the storing of sensitive information more secure. BuddyBuild also has clear documentation and usage information here. 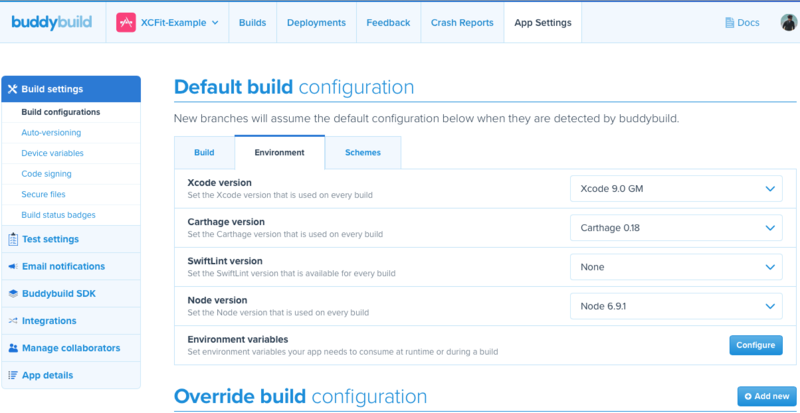 You can find the variables in the App Settings in the BuddyBuild dashboard. Medal: BuddyBuild has earned the Gold medal for Secret Store game. BuddyBuild is super quick in the upgrading to Apple developers tools. The great example would be Xcode 9 GM upgrade. As per this tweet BuddyBuild team upgraded to Xcode 9 GM in the just 4 hours after release. Medal: The BuddyBuild has earned the Gold medal for fast Upgrades of Apple developer tools. BuddyBuild is totally free to use for the open-source projects. This is the reason, I can able to try and use BuddyBuild and it’s awesome features. There is a free plan for starter which allows one concurrent build with 20 minutes of build time. Thanks BuddyBuild for supporting open-source community. Medal: The BuddyBuild has earned the Gold medal for Open-Source Project Support. BuddyBuild is very straightforward to learn as everything is clear from the user interface. Not only iOS developers but also project managers and non-technical people can use BuddyBuild due to its simple interface. However, there might be some cases where you need to write your own custom script then you have to learn how to integrate third-party tools with BuddyBuild. Medal: The BuddyBuild has earned the Gold medal for Learning Curve. Medal: The BuddyBuild has earned the Gold medal for Documentation and Support. BuddyBuild has clean and intuitive UI that helps users to set up the projects easily and without any pain. The features are easy to discover with the clean UI. Medal: The BuddyBuild has earned the Gold medal for Clean UI/UX. The BuddyBuild seems to be free for the open-source projects which s amazing. They got 3 paid plans at the time of writing this post. So, you have to check your pocket or your bank account before going for the BuddyBuild for sure. There is a starter plan which might be suitable and affordable for some small iOS teams. Medal: BuddyBuild has allowed me to run builds for free which is great but the pricing plans for enterprise builds are challenging. I am giving Silver medal for the price game. As of now, we have seen the features of the BuddyBuilds in brief, now the time is to decide what’s good and not good with BuddyBuild. There are certainly some great features that BuddyBuild offers but there are some limitations as well. Automatic configuration takes control over the tasks performed on CI. Custom scripts feature isn’t easily discoverable. Not Many integrations available with third-party tools. It requires additional efforts from engineer to write custom scripts. The build logs executed for the XCFit project are available here. We can navigate to details, logs and test tables to get the more information about the build.